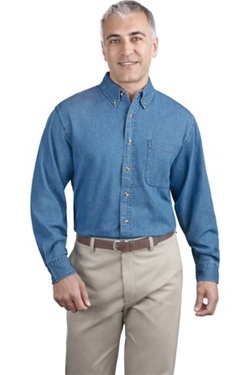 This shirt is designed with the quality and features you expect, but at a value price. 100% garment washed cotton with double needle stitching for strength and durability. Button-down collars with adjustable cuffs and tuck-in tails.